Bake, broil and roast with perfect control using this Café double wall oven. It uses true convection to distribute heat evenly while baking, and the full-coverage element ensures large trays broil properly. It's simple to operate this 30-inch Café double wall oven with the easy-to-read panel or via a smartphone and Wi-Fi. 10.0 cu. 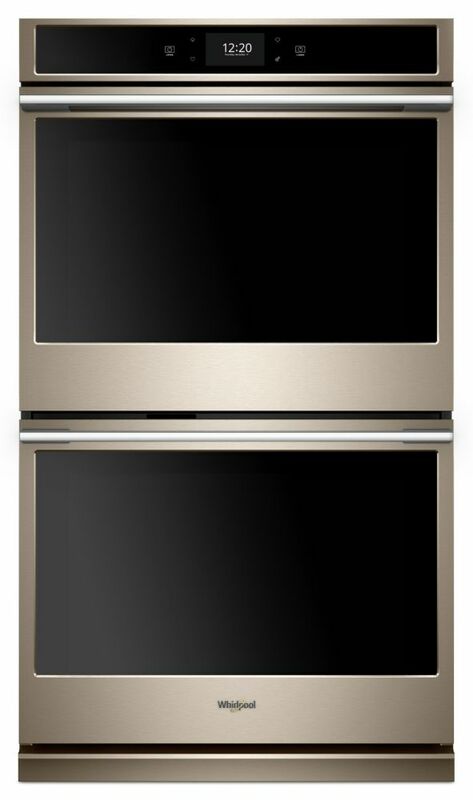 ft. Smart Double Electric Wall Oven with True Convection Cooking in Sunset Bronze This self-cleaning double wall oven helps you get the right settings every time. Use your smartphone or tablet to send multiple cooking instructions to the built in wall oven all at once. The touchscreen provides instant access to the settings your family uses most.